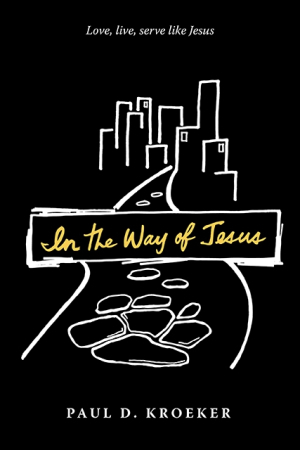 In the Way of Jesus fills a needed niche, offering church followers a way to really grow in faith. Paul D. Kroeker’s In the Way of Jesus is a collection of pastoral reflections that offer a worthy exploration of what life looks like when one follows Jesus. The volume begins by telling the story of contemporary evangelical churches, warts and all. It asks: What if the church got some basic things really wrong, particularly along the lines of how to make disciples? It concludes that churches are in crisis—that they are averse to change, they poorly prepare their followers, and much of their leadership is dysfunctional. Though this is standard fare within Christian conversations, In the Way of Jesus offers current believers a way to make their church experience more meaningful by placing it in context and offering a chance for self-reflection. Each chapter ends with questions for evaluation and personal reflection. This book is an invitation to live life in a more Jesus-centered way. It tackles some of the thorny issues found in evangelical church circles: how to find genuine community, what mission looks like in the world, and how to live an authentic Christian life. It also describes how a personal relationship with Jesus can lead to transformation. Kroeker is Canadian, and his book largely considers Western evangelical churches, showing people within them how get more out of their relationship with the church. It describes typical faith experiences, like not fully connecting with peers, feeling out of step with church leaders, and seeking a deeper spiritual life. The focus, however, is kept on directing people toward finding a more fulfilling life in Jesus. This is done without a lot of church-related lingo, but it is likely that people would need some background in church life to get the most out of the book. Arguments are well thought out, and biblical verses carry the message forward, as do retellings of the author’s time ministering to young people in Canada and around the world. These reveal how Kroeker’s own frustrations with churches changed after a transformational faith experience in Africa. The text asks important questions without being too edgy. For example, the book offers some critique of brief missions but stops short of saying they really ought not be done. It describes the Western church as being ineffective but does not really tackle what a renewed focus on discipleship would accomplish. The book often pulls its punches, perhaps because of its focus on current believers. It leaves out some of the larger context in which church change is happening. Kroeker argues, in effect, that if church people do more, than the church will be fine.